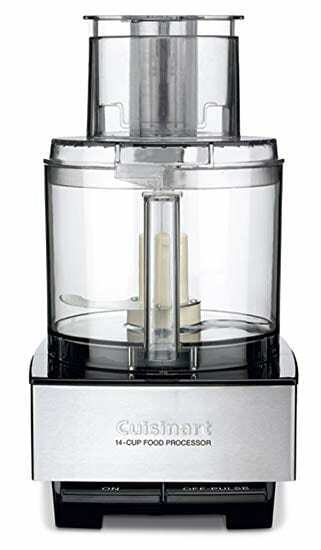 The Cuisinart 14 cup Processor is a top rated kitchen favorite for its powerful motor and it’s precise quality results. The Ninja Mega Kitchen System is the best all-purpose, multifunctional kitchen system with a food processor and plenty of other functions. 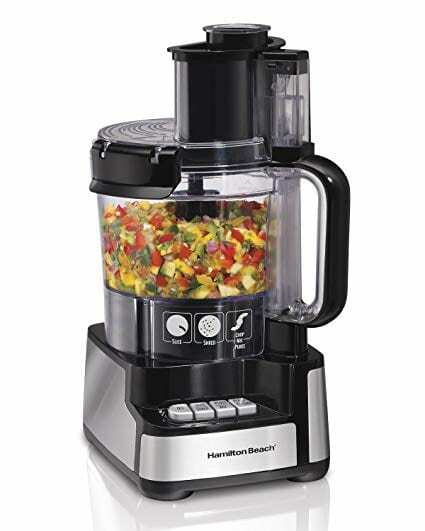 Get the most bang for your buck with the impressive Hamilton Beach 70725A 12 Cup Food Processor. 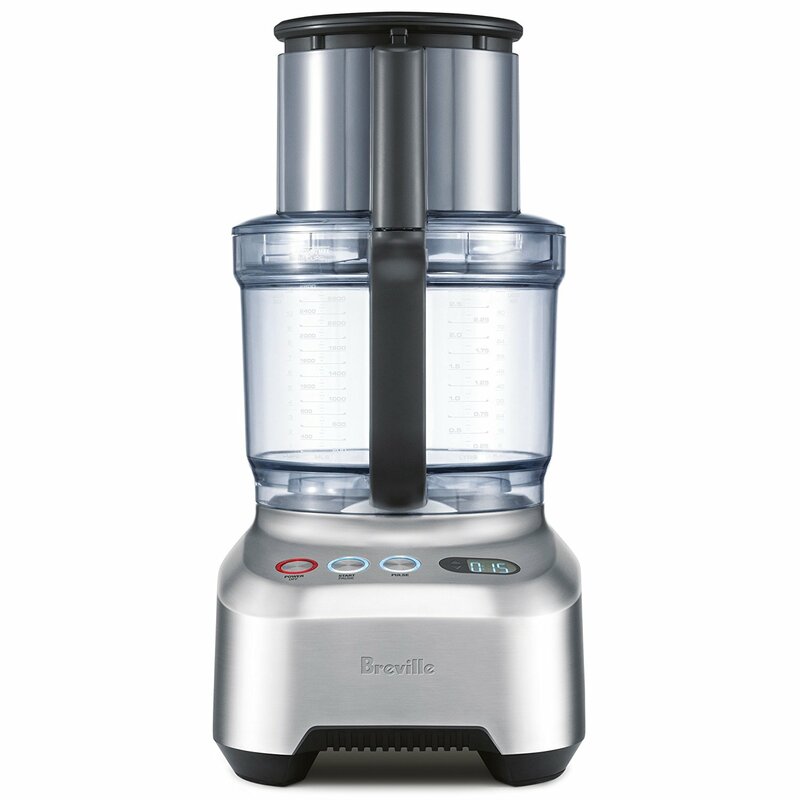 The Breville is the professional grade food processor that anyone, expert or beginner can use in their kitchen. 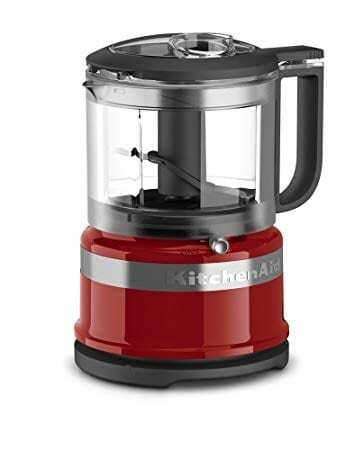 For all of your small jobs like saucing, chopping fruits or veggies, try the best KitchenAid mini food processor. Once you go deep into the world of cooking and kitchen appliances you’ll find that there are so many great gadgets that can make your life easier. A food processor is one of those kitchen items that become an essential part of the cooking process once you have it. If you don’t have it, it could be a life and time saver in the kitchen. When you’re prepping a meal, half of the time it takes to cook is spent chopping, mincing or blending vegetables. With a food processor, that time is cut down dramatically. The best food processors are able to do it all: finely mince, chop, shred and slice your ingredients for you in a matter of minutes. Out of the hundreds of food processors available, which ones actually get the job done and do it well? To save you all of the hard work, we’ve put together this review guide for finding the best food processor for your kitchen. With reviewed brands like Breville, Cuisinart, and KitchenAid to see how their food processors fare. Before we get started, here are our five picks for the all-star food processors. The Breville Sous Chef Food Processor is lauded by chefs, cooking enthusiasts, and food experts everywhere. 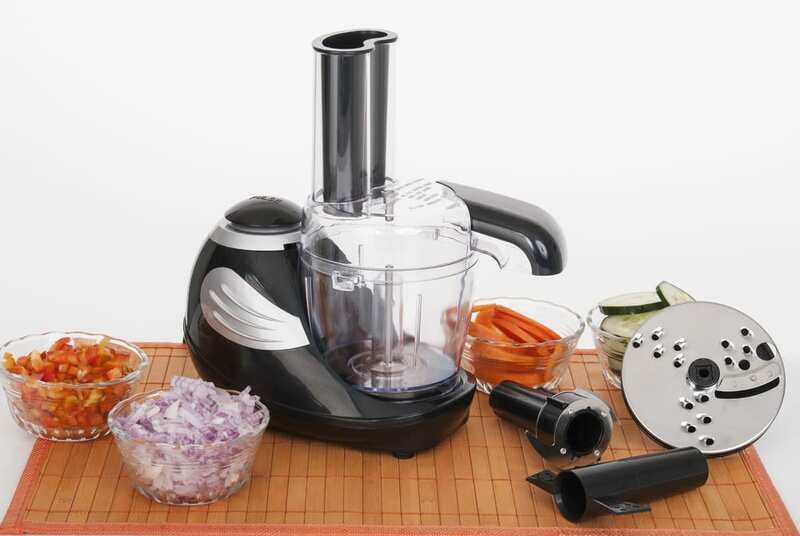 This powerful food processor is known for taking the food processor took the next level by adding multiple functions. This machine can do more than just chop up your onions, and you get a variety of blades and attachments to prove that. In addition its functionality, its design is modern and easy on the eyes so you won’t mind leaving it out on your counters. It comes in three different colors including a cranberry finish and a stainless steel finish. This processor was built for your large meal preps as it holds up to 16 cups. Overall, you’ll be impressed by the many ways you can use this food processor. You don’t need to fork over a bunch of money to have a good quality processor in your kitchen. The Hamilton Beach brand is both budget-friendly and reputable. This 12 cup food processor can hold enough food to prep for a large meal and it has various speeds to chop and slice your food the way you want it. Even with its 450-watt motor, it’s blades are powerful enough to knead dough and chop denser textures up. For a processor under $100, the Hamilton Beach is the most reliable. The Cuisinart DFP-14BCNY is another one of our choices for best food processors. The size is perfect for preparing a large meal for a family and it has one of the most powerful motors from our top picks. This Cuisinart will make cooking your big meals a breeze with its large feeding tube, dishwasher safe parts, and various chopping settings. You can choose between seven different functions which makes it extremely versatile. 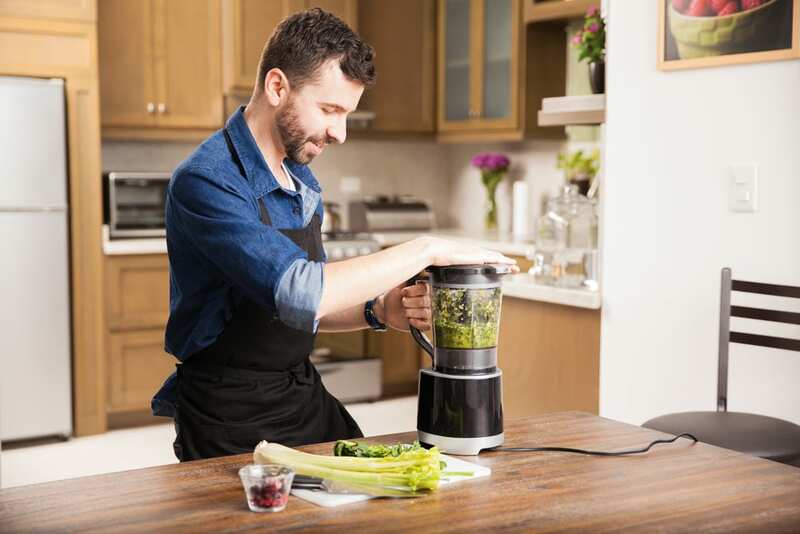 The Cuisinart also delivers exceptional results with its high power motor and precision blades. You can use it to chop or puree vegetables or even knead the dough. The finished product is also fantastic, according to several customer reviews. If you don’t need a huge fancy product and just want something to chop up small fruits and vegetables, then a compact food processor is probably what you’re looking for. The KitchenAid 3.5 Processor is small in size but efficient in its results. The size is just enough to mince or finely slice an apple of onion. With the two different speeds available you can choose the type of result you’ll get and it will all fit inside of this compact size. The KitchenAid’s size makes it especially great for quickly whipping together a sauce or puree while you’re making a meal. The Ninja Mega Kitchen system is exactly as it seems. 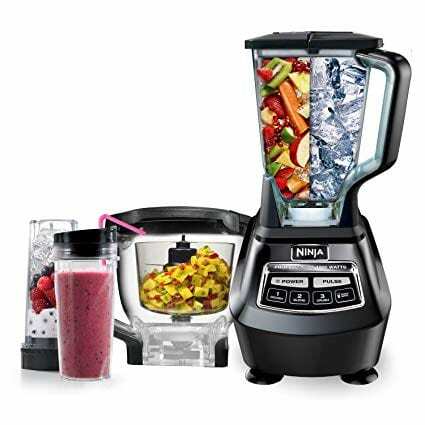 This multipurpose machine includes a food processor, blender and a smoothie machine all in one. How does it do all of this? It comes with several attachments like blades and mixing bowls that you can switch out based on what you need. That makes this product the perfect all-in-one multipurpose kitchen item that you never knew you needed. The Ninja Mega Kitchen is also the most powerful motor among this list, making it extremely suitable for every type of food. Kill two or three birds with one stone by picking up the Ninja Mega Kitchen. The great thing is that it does all of its functions well, too. On top of that, you get two to-go cup attachments that make it easy to blend your smoothies or purees and go. The food processor bowl can fit up to 8 cups of food and the results are impressive. This product is best for someone who wants to get the absolute most out of their food processor. Before you buy your next food processor, there are a few things to familiarize yourself with. Since there are tons of different brands offering a similar product, it’s important to know the ins and outs of them so you can pick the right one for you. The difference is in the details, like the type of blades, the attachments, and the compartments that sets each food processor apart. Knowing exactly what to look for will help you purchase a reliable, durable product that will simplify your life in the kitchen. Food processors range from the spacious standard sizes to smaller, mini-processor sizes. There is something out there for any type of cook. Whether you’re wanting to chop up something to feed a family of 4 or you need a machine that is compact and will fit in your space. In general, you want to make sure that the food processor has enough space to make a full meal. Most chefs recommend starting with one that holds up to 11 to 12 cups, which is the standard size. If you’re short on size or if you don’t plan to use up to 12 cups, try a mini processor, which usually ranges from 3-6 cups. Mini food processors or choppers are great for chopping up vegetables or nuts that aren’t too dense, quickly. Because of their size, they are compact, portable and easy to clean. If you only imagine using a processor to chop up an onion on mince some herbs, then a smaller size may great for you. The great thing is that they come in various sizes, so you can really get any amount of cups you want. The motor wattage is the amount of power the motor has. This is important when it comes to handling tasks with dense textures like dough. If the motor wattage is low, chances are it will slow down under the density, but when the wattage is high and has great quality, the product should be able to handle it well. A good way to test this is to put in a dense product like stiff dough or carrots and turn it on if there is some product stuck at the bottom under the blades that aren’t getting moved around, then it can’t handle tougher textures. In the case of chopping up vegetables, if you have a food processor with lower wattage then you run the risk of having uneven pieces. Some pieces will be finely chopped and others will be huge chunks. Our best food processors are able to finely chop up some of the densest vegetables evenly. 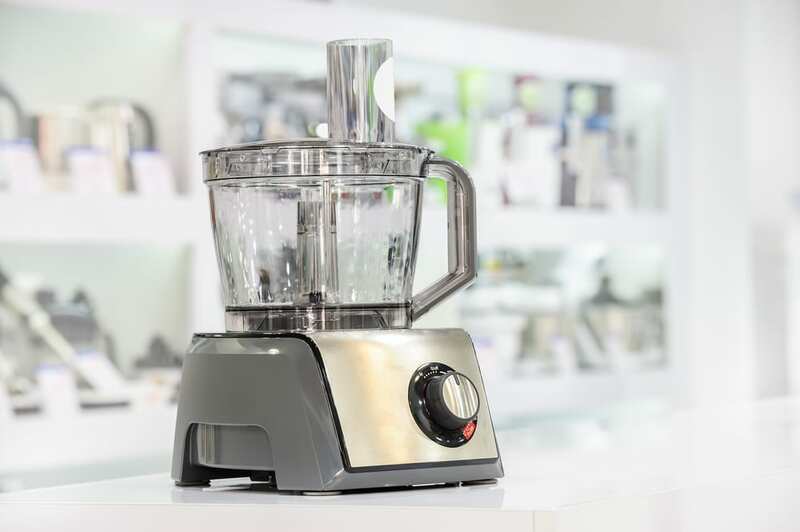 To avoid performance or motor burnout, stick with a motor of at least 600 watts or more for a 9 cup size food processor. A smaller sized motor may have fewer watts, so it’d be used for easier densities. Food processors are a multipurpose gadget meaning they have multiple functions. Most food processors come with multiple attachments that you can switch out to get different outcomes. The number of attachments depends on the brand, the quality, and the price of the processor. Some of the budget-friendly processors may come with a few attachments while some of the high-end brands have several attachments and attachments. You can expect your food processor to have attachments and accessories ranging from mixing bowls to blades to pushers. We’ll explain a few of them so you know what to expect. Shredding and slicing disk– It is standard for the processor to come with a shredding and slicing disk, but some have different types of disks to switch out. If you’re a seasoned chef and want a machine that is more professional level, you should find one with varying degrees of blades. This will expand the types of food you can put in it and the thickness and shape you will get. Dough blade– A lot of people use their food processors to knead their dough while they prep the rest of the meal. In this case, you will need a food processor with a high power wattage that can penetrate denser material. Some processors also come with a special dough blade attachment, which is a duller blade that will be able to knead the dough for you. Pusher– All food processors come with a “pusher” which is the tool that fits into the feed tube and helps to push the food in without harming your fingers. This piece is essential for when you’re adding in bigger chunks of food and also serves as a lid. Some brands come with both large and small pushers. Feed tube– In addition to your feed tube, you may also get a second or third feed tube of a different size. These extra feed tubes are to accommodate different all of the sizes of food you have. For example, a wide feed tube allows you to fit in things like a potato or zucchini. A smaller feed tube could be used for blending nuts and grains. Juicing attachment– It’s becoming increasingly common for a food processor to come with a juicing attachment. The juicing attachment works in conjunction with a speed setting to properly juice your fruits and vegetables with minimal mess. Attachment storage– Where do you put all of these extra accessories that come with your food processor? One of the downsides to all of these extra perks is that not all of them come with a storage compartment. Even some of the best food processors come with 10+ attachments, but nowhere to put them. It’s best to make sure you’ll actually use these fancy attachments before you buy one and if you do, you have somewhere easy and fast to store them. Nobody wants to deal with a food processor that burns out after a few months. Regardless of how much you spend, it’s a waste of money and frustrating to buy a new machine. why it’s important to make sure you buy a brand that is known for its durability just as much as its features. The best food processor must not only have a powerful, efficient motor, it should also last you many years. When it comes to anything with a motor, it’s important to research how it works out in the long run. The durability depends on the build and how the user maintains the product. If you regularly keep up your food processor by following the user instructions and cleaning it then your food processor should last you years of great cooking. A dirty food processor may seem like a hassle but it shouldn’t be. You should be able to clean your processor and its attachments easily. If you have a dishwasher, then look for one that has dishwasher safe materials. This saves you the time and hassle of hand washing all of the various parts that come with a food processor. On the other hand, we recommend hand washing your blades as this causes them to last longer. We also recommend not letting your processor sit with food stuck in it for longer than a few hours. Instead, when you’re done using your processor soak the parts in warm water and rinse them out before you place them in the dishwasher. If your product is not dishwasher safe, then soak the product to get all of the food extra food off of it and wash with warm water and soap. When you purchase any household appliance, it should come from a reputable company with a decent warranty policy. Machines break, malfunction, stop working for many unexplainable reasons. In the event that your processor or accessories malfunction you should be able to send it to the manufacturer and get it replaced. The average warranty lasts up to 1 year, but this varies from company to company. Check the warranty policies on our selection of best food processors to find out the exact warranty period. For the motor itself, you can find some machines that offer up to 10 years warranty.